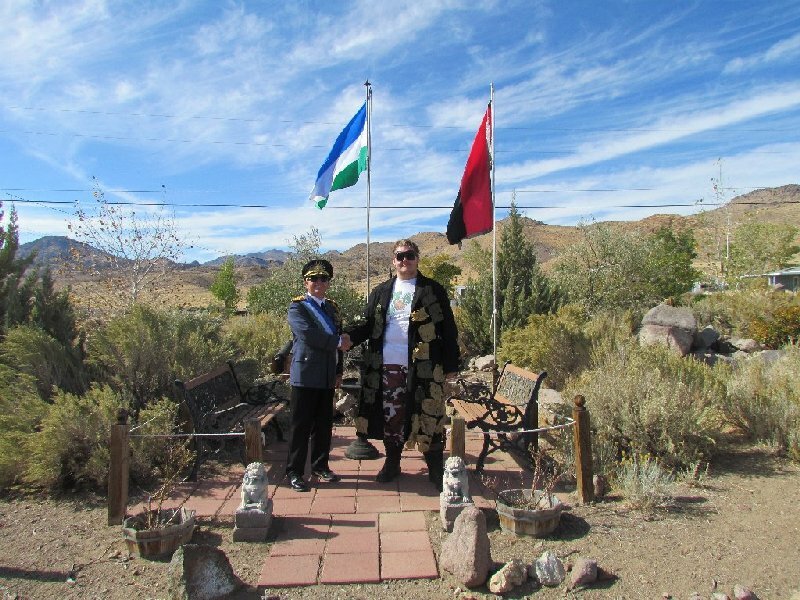 On 23 October 2011 XXXIV, the Grand Premier of the Socialist Republic of Hydrovia visited His Excellency, The President of the Republic of Molossia for the first State Visit between our two nations. 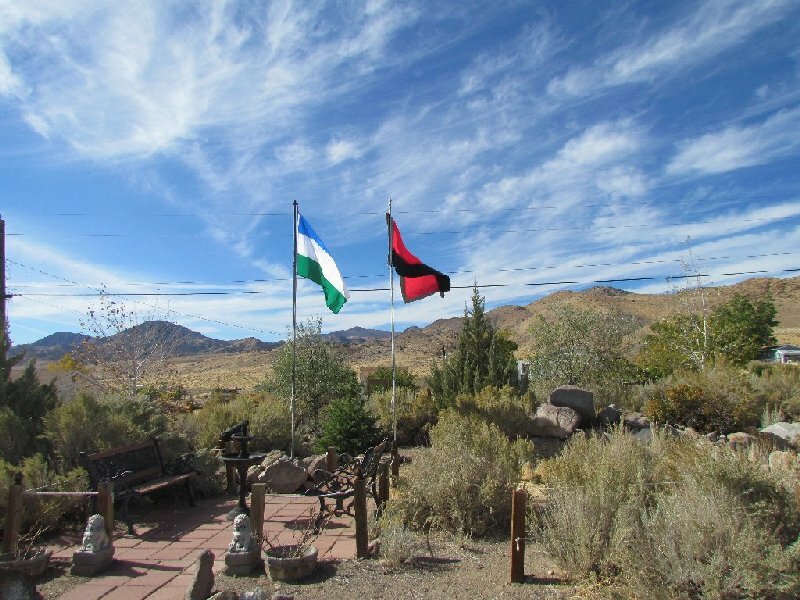 The Socialist Republic of Hydrovia is located in Reno, Nevada, about 50 Imperial Nortons (50 KM/35 miles) northwest of Molossia. The Grand Premier contacted Our President some weeks ago, seeking an interview as part of his senior project. 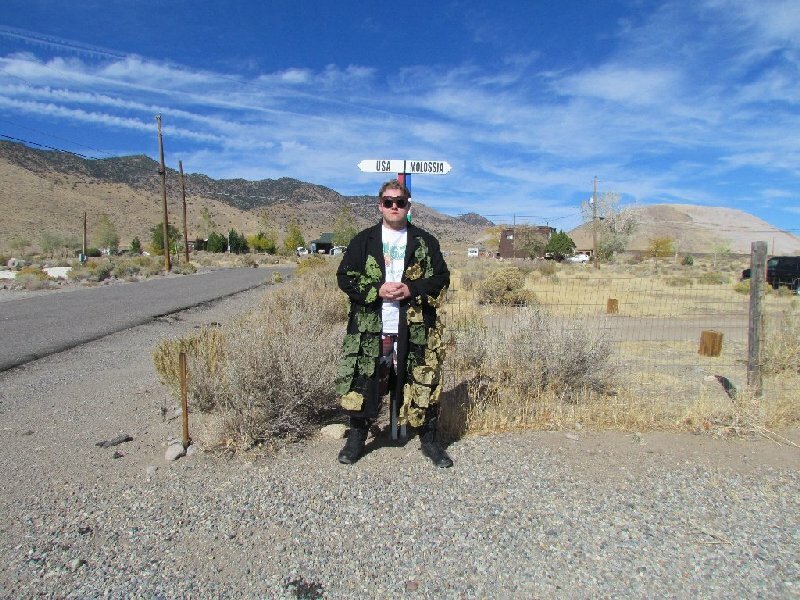 In addition, he had recently founded his own micronation, Hydrovia. Regardless of the motive, any visit by one leader of a nation to another is generally regarded as a state visit. 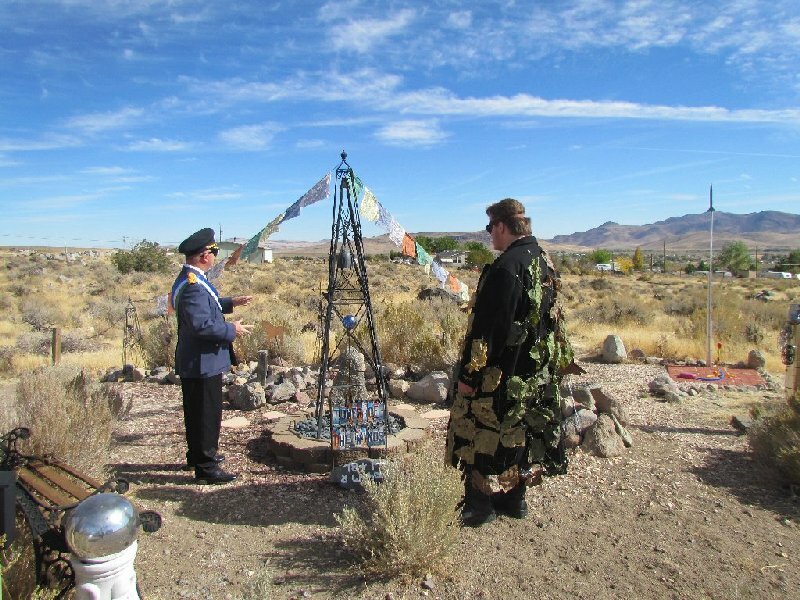 Thus, on the sunny Sunday afternoon of 23 October, the Grand Premier arrived in Molossia. The first order at hand upon his arrival was the raising of the Hydrovian flag over Republic Square on our newly constructed second flagpole. This flagpole was built to remedy past diplomatic issues involving the Molossian flag and a visiting nation's flag appearing on the same flagpole. 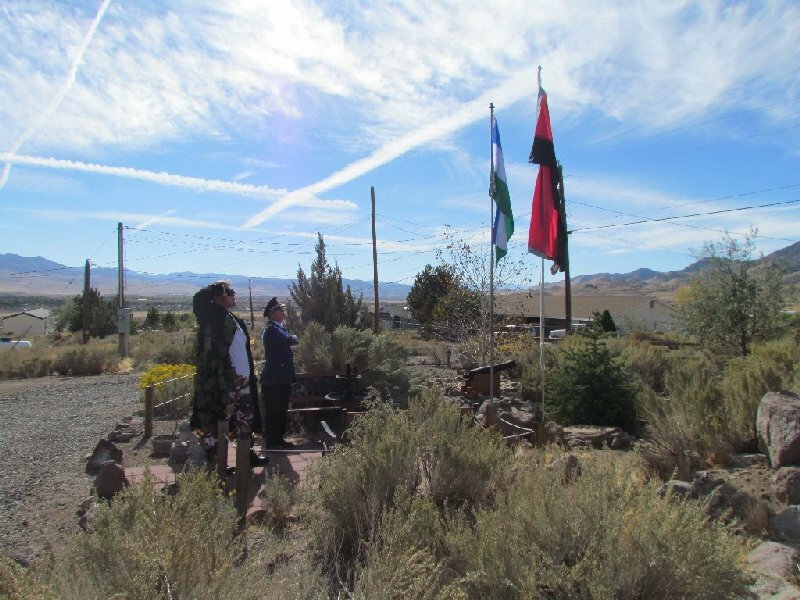 The flag raised, The President and First Lady then escorted the Grand Premier on a tour of Molossia. This was followed by a question and answer session under the gazebo in Norton Park. With photos taken and the desired senior project questions answered, the visit came to an end. The Grand Premier returned to Hydrovia and thus ended a successful diplomatic meeting, a milestone for both of our great nations.